Be on the lookout for a new BBC documentary about Zambia’s Luangwa River, which features Stellenbosch University crocodile expert, Dr Alison Leslie. 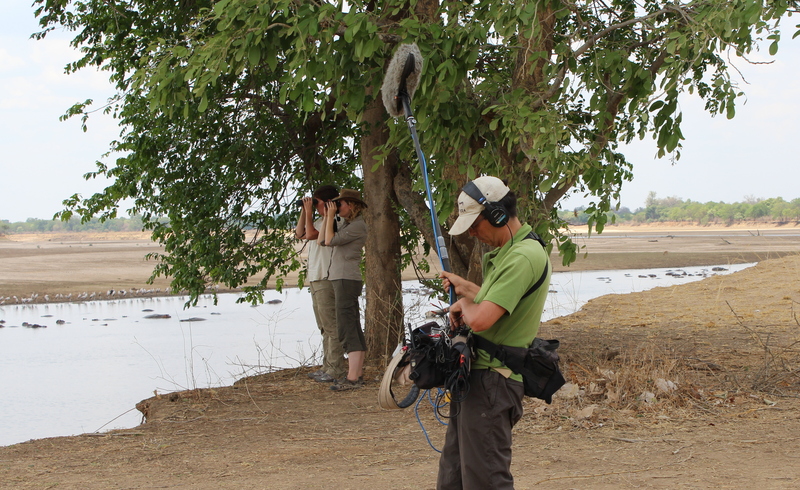 The series “Africa 2013: Countdown to the Rains” was shot in the South Luangwa National Park in Eastern Zambia. It follows the animals living along the river, from the last days of the longest dry season in memory to the arrival of the long awaited rains. The first episode of the fast turnaround three-part series, shot as the long dry season ends, was already broadcast on BBC2 in Britain on 3 November. Wildlife specialist teams, of which Dr Leslie was part, added expert analysis to the footage. Among the presenters she worked with was Kate Humble, who specialises in wildlife and science programmes, and freelance presenter Simon King, star of the “Big Cat Diary” series. Dr Leslie, of the SU Department of Conservation Ecology and Entomology, was impressed – and also a little jealous – of the technology available to the film crew. Over 75 remote controlled cameras, rigged at strategic points, were for instance used to capture spectacular interactions between the animals. Thermal and infrared cameras were also used as well as Go-Pro cameras attached to a remote controlled boat. Dr Leslie says it was a fascinating experience, but also in many ways incredibly sad to see what wild animals have to endure in the light of a particularly challenging dry season. “I certainly learnt the true definition of patience and although lots of fun, I am glad that I chose the scientist route in life – film making is hard work!” she adds. I was simply looking for this details for some time. Following 6 several hours of continuous Googleing, lastly I obtained it inside your internet site. Thanks for posting! I really enjoyed the report. Ive already bookmark this article. Wow this is a great resource.. I’m enjoying it. The craze for the authentic Prada products has led to many entrepreneurs taking advantage of this craze and coming out with very good replicas of Prada handbags and purses. Oakley Sunglasses Outlet Store Online -80%OFF- Oakley Snow Goggles Outlet,Shop Cheap Oakley Sunglasses, Discount Oakley Vault Factory Outlet Online, Free Shipping on Orders over $66!